At the tender age of 22, I went to a dealer to buy my first car! Such excitement, right? Well, it was exciting until I realized I had no credit which means getting the car I wanted in my price range would be a lot tougher. The more I write and learn about millennials, the more I see that I am not the only one who does not understand credit. Many millennials don’t know how to apply for credit cards, how to check their credit score, or even what a credit score means! So, for all of you who don’t want to be clueless, I’ve collaborated with U.S. and World News to give you a better understanding of what your credit score is, how to pick a card that works for you, and how to improve your credit! A credit score is a number that basically tells people if you are good enough with your money to get more money. It determines how risky you are to give more credit like loans and mortgages. A score less than 579 is poor and 579-669 is fair. If your score is in this range, it may bey be harder to get credit. If you’re score is over 670 it qualifies as good. Anything over 740 is considered excellent! If you’re in this range, getting credit will be a lot easier! To see what your credit score is you can use sites like Credit Karma or Credit Sesame. I use the Karma and I’ve been seeing my credit improve ever since. It gives you credit card suggestions on how to improve and shows you both the TransUnion and Equifax scores. These are the two companies that calculate your score, but will be different because they report on different things. Picking the right credit card depends on a number of things. Your credit score is a large factor because it affects your approval and interest rate. Some cards have rewards while some have annual fees. Your credit will determine which cards you are likely to get. Poor credit scores are unlikely to get approved or may see higher interest rates and annual fees that higher scores don’t. There a few different types of cards you can get. You can have a standard card like a Visa or American Express. Reward cards which give you an incentive to use the cards because you get points, cash back, or miles to use on other purchases. There are also store cards that give you an incentive to shop at that specific store by giving you discounts and special sales. You can read more in depth about card types here and here. The key to picking a card is to get ones that help you spend responsibly. For example, I have an American Express card through Delta. When I use my card, I get miles to use for travel. I travel 2-3 times a year by plane, so it makes sense for me to have this reward card. If you don’t travel, I wouldn’t recommend it. See a comprehensive review of reward cards here. Having a good credit score is a big concern on most people’s mind, but a lot have no idea how to get their score up. Having a good or excellent score will set you up for financial success! You need to know how the score is calculated to be able to improve it. Keep these in mind when trying to improve your score! 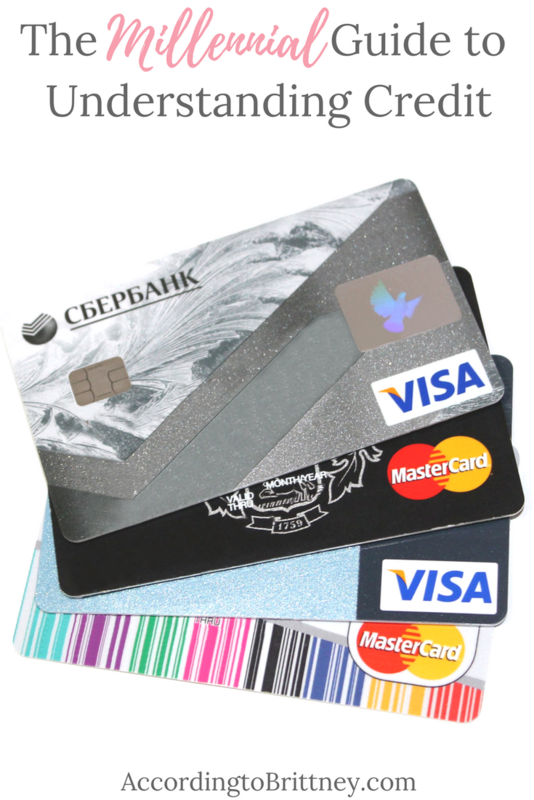 Credit Card Utilization – If you get a credit card and immediately run it up, your score will drop. To be in good standing, you should only be using 30% or less of your limit. So, if you have a $1000 credit limit, you should only have a balance of $300. Payment History – How well are you keeping your payments up? This reflects on your score. Talk to the issuer of the credit, if you’re having trouble making a payment. Derogatory Marks – Keep these off your score! Don’t be late on any payment. Again, talk to the issuer if you’re having trouble paying. Age of Credit History – Lenders want to see that you have a lot of experience managing credit. So, accounts like student loans work in your favor because they typically take longer to pay. Keep those in good standing and it will help your score! Total Accounts – The number of accounts you have is important. But more important is that they are all in good standing. If they are still waiting on a payment from you, it will not reflect well on your report. Only open as many accounts as you can manage. Hard Inquiries – This means that someone is looking into your credit, most likely to give you more. You don’t want a lot of people looking into your report. It shows that you are just looking for some anywhere. Luckily, these inquires disappear in 2 years from your score. If you want to learn more about what kind of card is best for you, check out U.S. and World News. Their credit card guide was made to help consumers better understand how this all works! Continue on if your financially responsible journey and good luck! In what ways have you improved your score? Comment below. Don't Miss Another Blog Post!